PAX BRITANNIA: Lucy Saxon Competition - We have a winner! 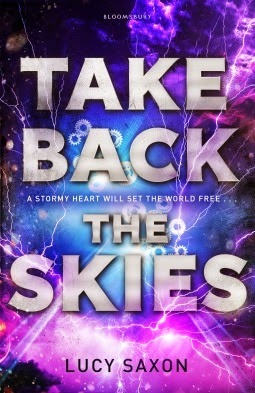 Recently I ran a competition offering readers of this blog the chance to win a copy of Lucy Saxon's debut, Steampunk-inspired novel, Take Back the Skies, asking from where did the author take her pen name? Well the answer is, the name of the Master's wife in the 2007 series of Doctor Who. Congratulations, Amy! Your copy of Take Back the Skies will be winging its way to you from Bloomsbury Books very soon. To the rest of you who entered, better luck next time, eh?